GENEVA: Swiss food giant Nestle confirmed Thursday the suspension of its membership in a body aimed at ensuring sustainable palm oil production and use, blaming “fundamental differences” in theories on how to reach that goal. The Roundtable on Sustainable Palm Oil, a non-profit group that counts members from across the palm oil supply chain, suspended Nestle Wednesday and revoked the sustainable palm oil certificates at several of the company’s facilities. “We share the RSPO’s ambition for improving the social and environmental performance of the palm oil sector,” a Nestle spokesperson told AFP by email Thursday. In its decision, RSPO cited breaches of its code of conduct, pointing to Nestle’s failure to file a 2016 report on its progress towards producing or buying certified sustainable palm oil, and only filing an incomplete report for 2017. “Nestle was given the opportunity to complete its (progress) report for 2017 through active engagement, and has declined to submit a time-bound plan,” the organisation said. RSPO, which counts more than 3,000 members and unites palm oil producers, processors, traders, consumer goods manufacturers, retailer, investors and environmental and social NGOs, also lamented that Nestle had $2,000 in unpaid membership fees. Nestle however said the problem was that RSPO had not accepted that its goal was not to achieve 100 percent certification of palm oil. “There are fundamental differences in the theory of change that Nestle and RSPO are employing to realise the ambition of a wholly sustainable palm oil industry,” Nestle said in a statement. “Whilst we respect the decision of RSPO to consider only action plans focused on moving towards 100 percent certification, we believe that this approach is not conducive to achieving the levels of industry transparency and transformation the sector so urgently needs,” it added. RSPO meanwhile said that following its suspension, Nestle would lose its voting rights in the organisation’s general assemblies. It also said the Nestle facilities in Australia and in Bromborough, Britain, which are currently RSPO Supply Chain certified, had had their certificates suspended. The organisation called for Nestle to comply and commit to the RSPO code of conduct by July 20, warning that if it failed to do so, its membership would be “terminated”. Greenpeace meanwhile questioned the motives behind RSPO’s decision. 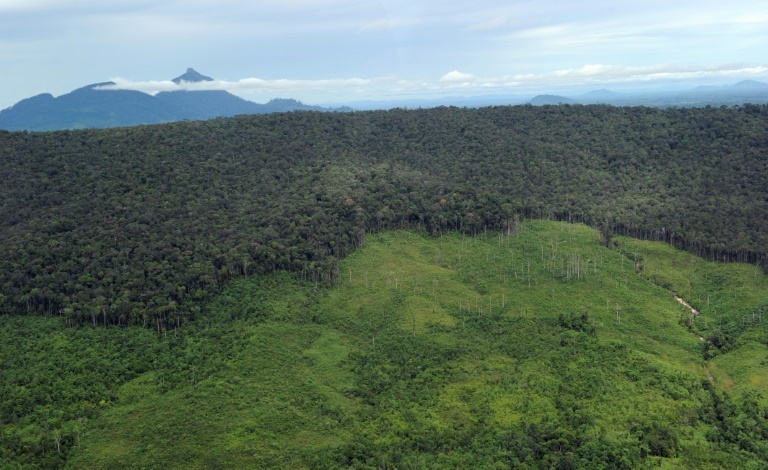 “Greenpeace has raised at least five cases of RSPO members destroying rainforest with the RSPO in the past year, including deforestation by members of RSPO’s board of governors and its Complaints Panel,” it said in a statement. “RSPO has not taken any action against them, but it has suspended Nestle for not buying enough RSPO palm oil,” it charged.